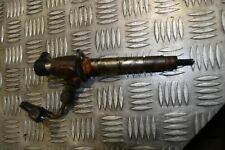 Fuel injector removed from a diesel Rover 75. Will fit all ages and variants of Rover 75's and MG ZT's with the diesel engine in it. Good used condition, fully tested and working prior to removal. LAND ROVER DIESEL INJECTORS PLUS PIPES. A SET OF "BOSCH" LOW MILEAGE (TESTED FOR SPARES) INJECTORS AND A COUPLE OF NEW PIPES.BEEN TOLD A "DEFENDER" ,NUMBERS SHOULD VERIFY MODELS. Discovery / Range Rover / Defender 2,495 cc turbodiesel, overhead valve, 300 TDi. Discovery 2.5TDi 2.582-83 10/1993- 12/1998 19L. Used in: Land Rover Defender, Discovery Range Rover. Range Rover 1 2.5 TD 2.581-83 10/1994 - 04/1996 300TDi. Discovery / Range Rover / Defender 2,495 cc turbodiesel, overhead valve, 300 TDi. LAND ROVER 300 TDI. Discovery 2.5TDi 2.582-83 10/1993- 12/1998 19L. 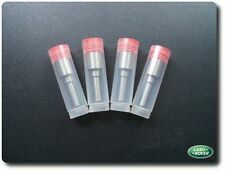 NEW INJECTOR NOZZLES SET OF 4. Used in: Land Rover Defender, Discovery Range Rover. Land Rover Freelander 2004 TD 4 Fuel Injector. Condition used from running engine. Land rover freelander td4 diesel injectors . Condition is Used. Dispatched with Royal Mail 2ndClass. 0445110 landrover freelander 2.0 TD4 x4 Removed from 2.0 TD4 Manual 1 injector was not spraying properly so i replaced all 4. Want stripping cleaning etc.. COLLECT BARROWFORD BB9 Can post. Land Rover TD5 engine OEM Fuel Injector. Discovery 2 & Defender TD5 Injector Harness Rocker Gasket. (01-06) 15P ENGINE. Harnessand Injector loom. and the oil can migrate right down the wiring harness into the main wiring loom and into the ECU. ROVER 75 TURBO DIESEL ENGINE. PART NO: 0445 110 030. Good working order removed from running freelander td4. This listing is for a genuine Land Rover used part This Injector Set is from a 2000 Discovery 2 TD5. This listing is for a genuine Land Rover used part This Injector Set is from a 2004 Discovery 2 TD5. 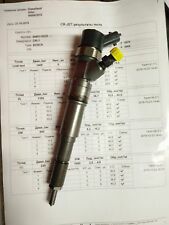 This listing is for a genuine Land Rover used part This Injector Set is from a 1995 Discovery 1 300TDI Please match current part number of KBAL90P37 as shown in photo. Fuel Injector Seal Kit By Bearmach. A quality product made by Bearmach. Land Rover Discovery 2, TD5. Suitable for all Discovery TD5 engines 1999 - 2004. Contains 5 x Injector copper washers & 5 x Injector o-rings. Rover 75 K Series Turbo Fuel Rail And Injectors. Having a garage clear out. Please study pics for condition, been sat in my garage for around 6 years. I originally bought them as used, but never fitted them so I can't confirm they are all working as they should. Please message me with queries and I will help as best I can. I have a full time job so it may take me a couple days to post, of course collection is welcome. 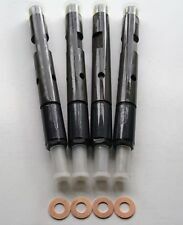 LAND ROVER 200 TDI NEW INJECTOR NOZZLES SET OF 4. DISCOVERY 2,5 TDI. RANGE ROVER I 2,5 TDI CLASSIC. Used in: Land Rover Defender, Discovery Range Rover. LAND ROVER. 2,495 cc turbodiesel, overhead valve, 200TDi. 1x DIESEL FUEL INJECTOR. TESTED AND REMOVED FROM A FULLY RUNNING AND DRIVING VEHICLE. Contains: 1 x Injector Washers. Will Fit Injector Part No: 044511049 / 0445110030. The item must be in original condition. PART NUMBER:ETC8412. land rover discovery or defender 200 tdi diesel models. WE ARE A INDEPENDENT LAND ROVER REPAIR AND PARTS CENTRE WE HAVE A WIDE RANGE OF GOOD QUALITY USED PARTS AS WELL AS NEW FOR DISCOVERY,RANGE ROVER CLASSIC AND DEFENDER PARTS. (We need your old injector ! ). Land rover tvr injectors rover v8. Condition is Used. Dispatched with Royal Mail 1st Class. DIESEL FUEL INJECTOR. 2008 LAND ROVER DISCOVERY 3 SE L319. PRICE FOR ONE INJECTOR . PART NUMBER 7H2Q-9K546-CB. LAND ROVER DEFENDER 200 TDI INJECTOR PUMP. 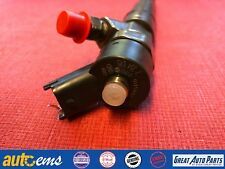 ROVER 75 MG ZT & ZTT CDTI & CDT 2.0 DIESEL FUEL INJECTOR 0445110030 . Condition is Used, came from a fully functioning engine, price is for 4 injectors, any questions please ask. LAND ROVER DISCOVERY / DEFENDER TD5 GREEN TOP FUEL INJECTOR WITH CLAMP AND BOLT REMOVED FROM A RUNNING VEHICLE, TESTED AND WORKING. ONE INJECTOR ONLY. REMOVED FROM A 2003 DISCOVERY WE ARE BREAKING. Removed off a fully working \ running land rover. Part No. 0445110 049. THE INJECTOR HAS BEEN RECONDITIONED TO A OEM SPECIFICATION, SO YOU CAN MAKE CERTAIN YOU ARE GETTING A INJECTOR THAT LOOKS AND WORKS LIKE NEW. WE ONLY USE OEM SPECIFIED BOSCH PARTS. IF UNSURE WITH YOUR ORDERING OR IN NEED OF GENERAL INFORMATION WITH REGARDS TO YOUR ORDER GET IN TOUCH. Land Rover Freelander1 2.0 Di Diesel Injector. BMW Rover Freelander 2.0 CDTi Fuel Injectors. Fully Working Injector Tested Before Remove. Price Per One Injector. Milage 97000. Single diesel fuel injector suitable for Freelander 2 from 2007 to 2010. 4 available. Contains: 4 x Injector Washers. Will Fit Injector Part No: 044511049 / 0445110030. The item must be in original condition. 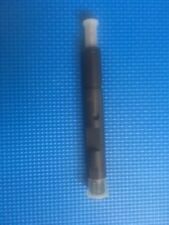 Land Rover Discovery, Defender or Range Rover P38 3.9 4.0 4.6 v8 fuel injector. Part number is LR005960. This is a genuine Land Rover part. MALTINGS TRADE CLUB MEMBERS RECEIVE FURTHER DISCOUNTS CALL FOR DETAILS!!!!!!! RANGE ROVER TD6 M57 6CYL DIESEL 3.0L RECON FUEL INJECTOR FITS ALL RANGE ROVER TD6 MODELS 2002-2006. MJY000070 X1 SURCHARGED UNIT REQUIRE OLD UNIT ANY QUESTIONS CALL ANDY 01427 753394 WE DO ALL PARTS FOR ALL LANDROVERS BOTH PATTERN AND GENUINE AT VERY COMPETITIVE PRICES PLEASE CALL US ON THE PARTS LINE FOR ANY PART YOU MAY REQUIRE, WE ARE ALSO HAPPY TO GIVE ADVISE IF YOU NEED ANY. MALTINGS OFF ROAD LTD WESTWOODSIDE DONCASTER DN9 2AR BECOME A MALTINGS TRADE CLUB MEMBER AND RECEIVE FURTHER DISCOUNT ON EBAY ITEMS,FREE CARRIDGE AND FREE LANDROVER TECHNICAL SUPPORT FROM OUR SERVICE DEPARTMENT. CALL FOR DETAILS!!!. Part number for this injector is 0280155885. Fuel injector removed from a Freelander, will also fit MG's and Rover's with 1.8 engine (K-series) - coil type 2000-2006. Whenever possible, we provide the part number. Range Rover P38. OEM V8 Petrol Injector Seals sold in Pairs for the Later Bosch Injection System. Bosch injectors normally have a green body whereas the earlier Lucas injectors are black, ensure you are ordering the correct seals for your injectors. ONE INJECTOR. ALL OUR PARTS ARE CHECKED FOR CONDITION AND WORKING CAPABILITY. MALTINGS TRADE CLUB MEMBERS RECEIVE FURTHER DISCOUNTS CALL FOR DETAILS!!!!!!! BRAND NEW GENUINE VDO FUEL INJECTOR. (NOT RECON BRAND NEW!) FITS ALL RANGE ROVER SPORT AND L322 RANGE ROVER 3.6 TDV8 MODELS EACH INJECTOR CARRIERS A £72.00 SURCHARGED WHICH WILL NEED TO BE PAYED FOR ON TOP OF LISTED PRICE BEFORE ITEM WILL BE DESPATCHED. CALL FOR DETAILS. (REFUND AS SOON AS OLD UNIT IS RETURNED) UNSURE ITS FOR YOUR VEHICLE CALL US TO CONFIRM WITH YOUR REG NUMBER. PLEASE ADD NOTE TO ORDER WHICH INJECTOR NUMBER YOU ARE REPLACING SO WE CAN SEND YOU THE CORRECT ONES. BRAND NEW IN BOX 2 YEAR WARRANTY. ANY QUESTIONS CALL ANDY 01427 753394 WE DO ALL PARTS FOR ALL LANDROVERS BOTH PATTERN AND GENUINE AT VERY COMPETITIVE PRICES PLEASE CALL US ON THE PARTS LINE FOR ANY PART YOU MAY REQUIRE, WE ARE ALSO HAPPY TO GIVE ADVISE IF YOU NEED ANY.